Reliance Brands Ltd.’s new retail initiative, The White Crow, spread across 8,000 sq ft at Sindhu Bhavan Road in Ahmedabad is the first ever multi-brand outlet bringing together all the premium brands under one roof. In an exclusive interview with Retail4Growth, Darshan Mehta, President & CEO - Reliance Brands Limited (RBL), takes us through the journey of The White Crow (TWC). Located in the high street of Ahmedabad, The White Crow store is RBL’s first ever multi-brand store. Spread across 8,000 sq ft, the store is designed to bring Indian and global premium brands together under one roof. With brands like Superdry, Salvatore Ferragamo, Scotch & Soda, Adidas Originals, Brooks Brothers, Onitsuka Tiger, G-Star Raw, Steve Madden, Armani Exchange, Coach, Diesel, Replay, Dune, DC Shoes, Canali and Kate Spade, among others, offered within a single door, TWC addresses the needs of the fashion conscious and aspirational consumers of luxury in the city of Ahmedabad. and how he or she behaves -- right from the store design to the brand selection and the shopper experience. One of the most interesting aspects of TWC is the concept of mixed merchandising, as against the usual shop-in-shop format and the categorisation based on products rather than brands. The store thus presents a uniquely curated fashion collection from over 44 premium brands. The products themselves are divided under 8 fashion and lifestyle categories – casual wear, formal wear, customisation section, fragrance library, handbags & shoes, collectibles, luggage and tableware. “The mixed merchandising also helps in suggestive selling. So if a customer sees a Replay Hyperflex denim next to a Brooks Brothers shirt or an Armani Exchange shoe together, it is an effective cue to the customer’s mind about a possible fashion trend and combination,” he added. According to Mehta, while shop-in-shop is a 20-year old concept, the mixed merchandising format is more customer-friendly, helping shoppers pick from a plethora of choices across all the categories offered in the store. Also, TWC also plans to add new brands every month to keep up with the customer’s preference. “We are constantly changing/ adding/ rotating brands every month to give the customer an added reason to come and check out the store more frequently. And this doesn’t happen in metro cities like Bombay or Delhi,” Mehta said. The store look again is a reflection of contemporary India with a space that is designed to evoke a fresh and premium feel, which is in sync with the aspirational needs of the customers. The glass and wooden shelving system is an integral part of the store, and the fit-outs are given an orange hue. The store has a light neutral colour scheme that envelops the entire design. “We wanted to make sure the store environment is not intimidating and, at the same time, aspirational. We wanted to create a store that you have never seen before. The space lends a warm feeling; it is hospitable and it is unique. 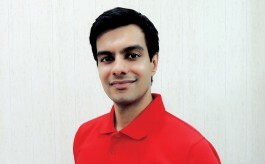 In terms of design, we have virtually scored a 95 /100,” Mehta explained. It took 12 months to complete the store design process and the space was designed by an award winning interior design agency, ST Design. The visual merchandising is done by the Brand and retail innovation company, Few Steps Ahead, while the branding has been done by an internal designer at RBL. In the context of customer experience in retail, phygital has become a buzz word today but Mehta believes that Indians are not yet ready for phygital. “Phygital is overdone in the western countries where manpower is scarce. But Indians still love the human touch, they love people over digital services. When a customer goes to a store, they like to have human interaction before buying a product or while browsing the product range. They don’t want to go and stand in front of a kiosk. They would rather have human assistance while making a purchase,” he pointed out. This belief and understanding of the Indian psyche is reflected in TWC. For example, the store has a Brother sewing machine right in the middle of the store for craftsmanship and customisation. If a customer wants to a customised denim or an alteration s/he can get it done right at the store. “Interestingly, the Brother sewing machine has actually been appreciated by a lot by our customers. They said it felt good because it gave a sense of being in a clothing store. 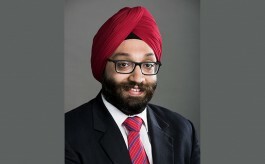 Thus, it also helped in connecting with the customer by giving a sense of familiar comfort without being overtly loud,” Mehta highlighted. As part of enhancing the customer experience, the store also houses the Santé Spa Café, which serves a range of vegan and gluten free food. So while the store is spread across 5,200 sq ft, the café occupies an additional space of 2,600 sq ft. “Through this approach we are trying to give a holistic experience to the customers. This is something that doesn’t exist in India,” Mehta said. TWC is part of RBL’s efforts to take their premium segment across apparel, footwear and lifestyle categories to mini-metros and smaller towns, again a result of their close study of emerging markets and consumer profiles in the country. “Ahmedabad, a city with population of 9 million people, has just one mall in the town called the Alpha Mall, where we have 2 stores – Hamleys and GAS. The mall is fully leased out for 9 years and we were literally waiting with a token in hand for a place to get vacant to open a Brooks Brothers store, a Superdry store,a Steve Madden store, an Armani Exchange store, a Canali store etc., but we did not get a spot,” he further added. However, given the existence of ready purchasing power and wealth in the city, Ahmedabad was an easy choice for RBL to open an MBO format in the city. According to a report (PDF, 2.8MB) by Boston Consulting Group (BCG), population in tier II- IV will increase 4.5 times by 2025 and also by 2025, tier II and III towns will account for 45% of India’s consumption and add 30% of affluent households, who will be a significant market for premium luxury products. “Two indications that Ahmedabad has high purchasing power – one is the fact that the city has at least 5-6 high-end car showrooms. Secondly, the flight connectivity, between Mumbai and Delhi - Ahmedabad is very good at 19-20 flights per day with high seat occupancy. 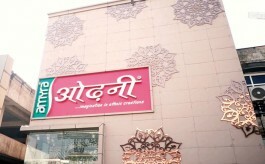 Location is an important factor in the success of any Retail format and Ahmedabad was a ready market for us, given its affluent customer base and connectivity,” Mehta explained. RBL is now planning to open TWC stores in other cities like Lucknow, Jaipur and Guwahati. Going forward RBL is planning to add more brands every month to the existing 44 brands. “We have a hot pipeline, we keep adding new brands every month,” Mehta said. RBL has also recently announced a partnership with Williams-Sonoma, Inc. to bring Pottery Barn and West Elm in India. This will also mean a new category in TWC portfolio - home décor and home improvement. The company has also partnered with Replay – an Italian premium denim and casual wear brand - to open Replay stores in India. As of now, The White Crow is all set to give ‘Ahmedabadians’ a new retail experience to indulge in and a true taste of premium luxury.